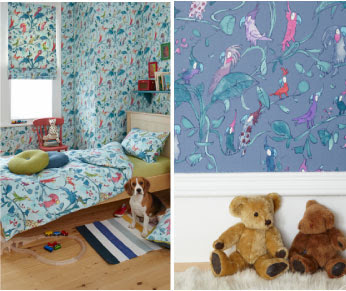 I'm ready to find a project where I can use some of the new adorable Zagazoo children's fabric & wallpaper collection from Osborne & Little. 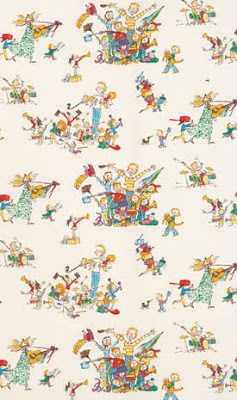 My favorite might be the Quentin's ABC's wallpaper shown below. The alphanumeric paper comes in an array of shades and is a modern alternative for writing on the walls. 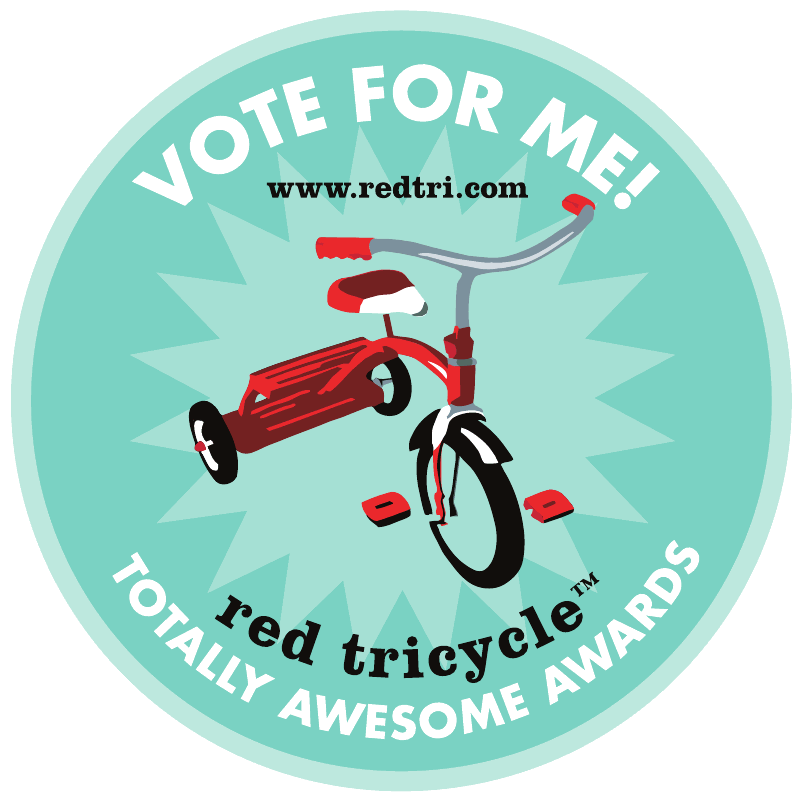 If you child learns by repetition this is the wallpaper for you! 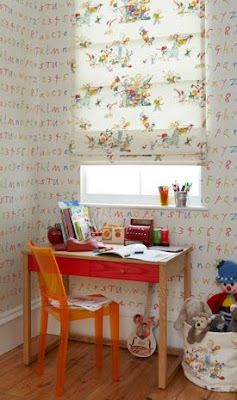 This photo shows the humorous All Join In fabric paired with the Quentin's ABC's wallpaper. 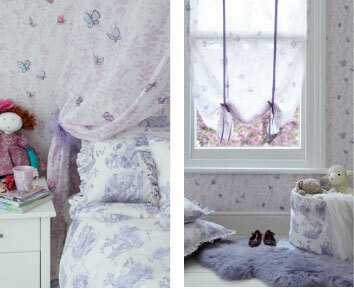 For a more girly whimsical look, try the calming Butterfly Meadow wallpaper. 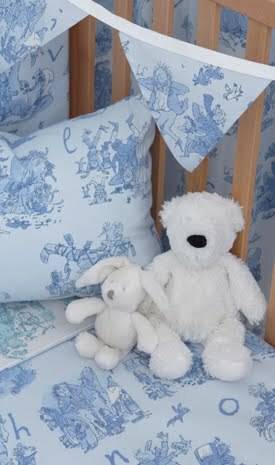 In the photo below they pair it with Alphabet Tales fabric for a softer more juvenile less teen look. 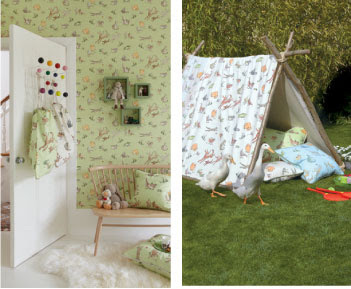 The Cockatoos wallpaper and fabric shown below is just funny and entertaining. Using the fabric and wallpaper in the same room is a bit much but I just love the print. 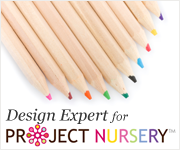 I see this for your Kindergardener to 5th grader. Quentin's Menagerie wallpaper and fabric is a nice gender neutral print, especially perfect if you have a boy and girl who share the same room. 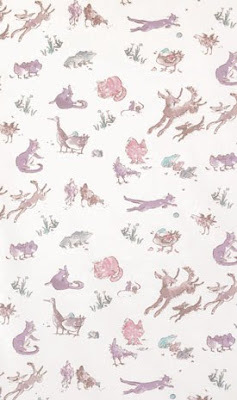 The print features farmyard animals along with cats and dogs at play. 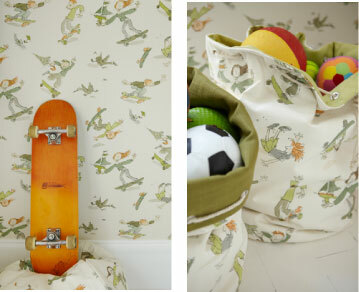 Finally something for the boys, Skateboarders, and yes if you have a tomboy the print also comes in girly colors.